I am a relatively ‘new’ artist – like ten years or so. Before that, I was a math nut. 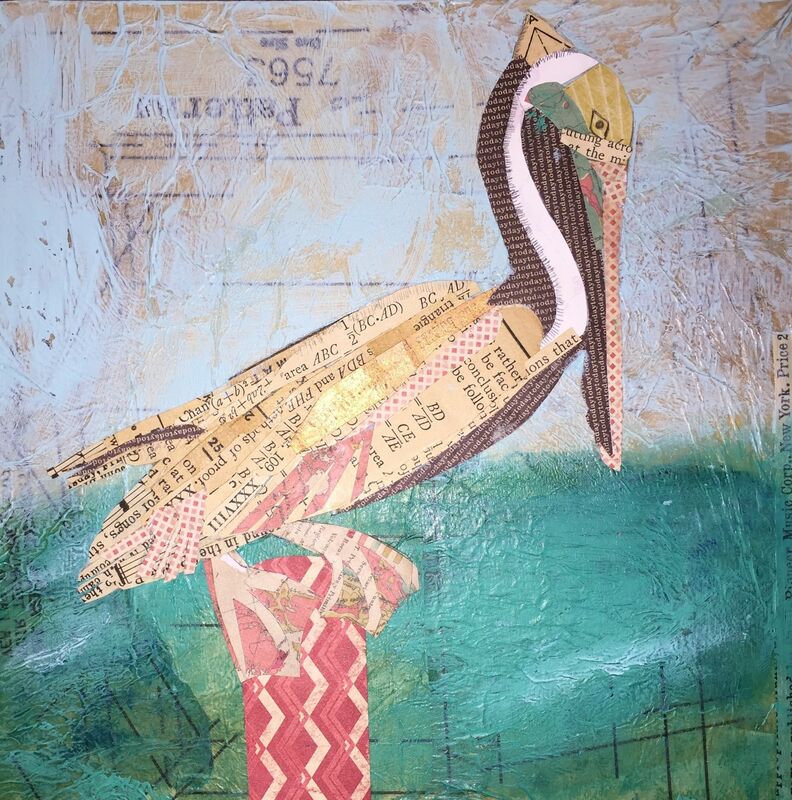 These are two really different sides of the brain… so it only makes sense that i would tear up an ancient matchbook (circa 1865) and create a Pelican. The math book was falling apart literally, but full of really great pictorial representations of how to create fractions and trigonometry and a bunch of fun word problems…. you know the ones… “If you have ten pancakes and there are 5 people to feed, how much syrup do you need…” ha. 2015 torn paper and paint 8 x 8 on birch wood panel. Math and arts! That makes you perfect! perfect. I think i’ll share that with everyone in my house…. thanks so much. I think it is really cool when both sides of the brain work together. I love your art! Would love to be surfing today! These are great! 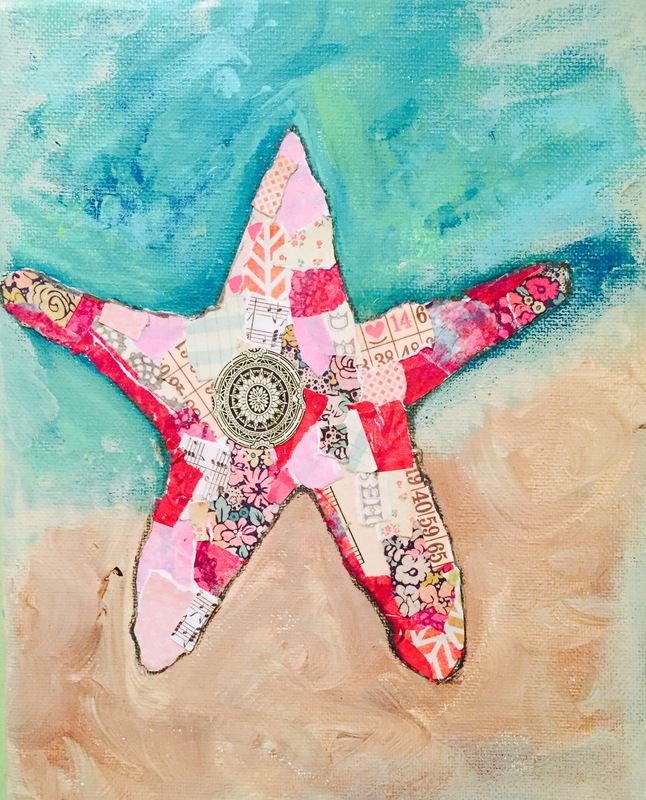 I particularly like the bright color in the starfish. These are both quite beautiful!